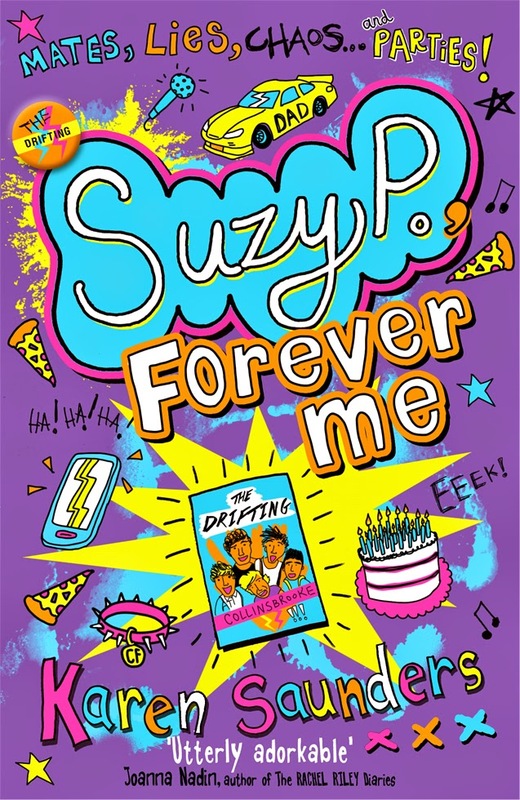 The first two books in the Suzy P trilogy, Me, Suzy P, and Suzy P and the Trouble With Three, have been out for a while now, but the third in this hilarious series, Suzy P, Forever Me, has just been released. 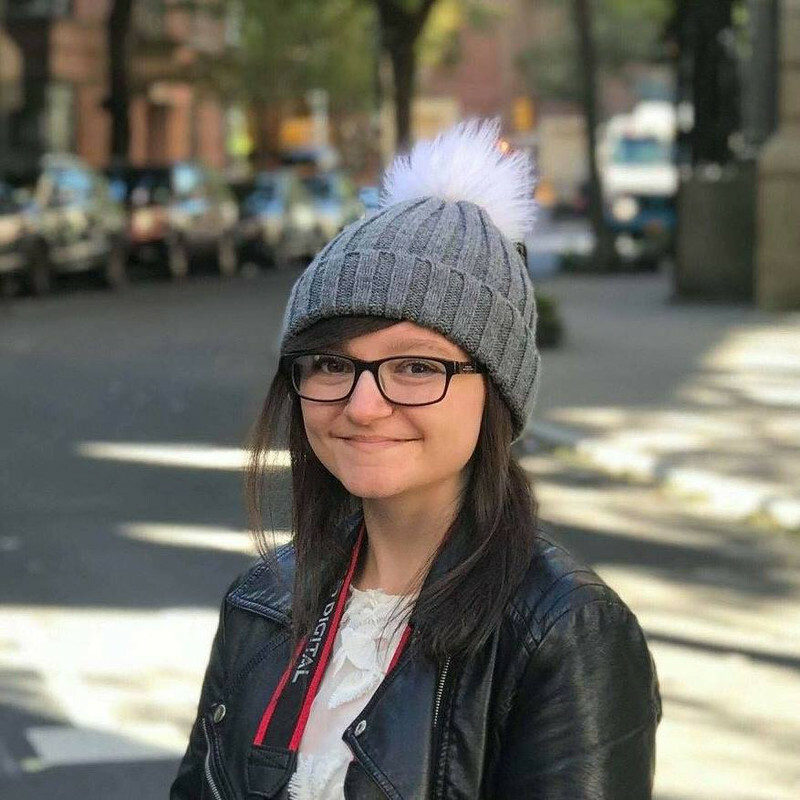 The books feature 14 year old Suzy Puttock, a girl with an embarrassing name, embarrassing family, and all-together embarrassing life. No matter what she does or says, somehow Suzy just always manages to land herself in trouble! In this latest book, Suzy’s mouth has run away with her again and she’s somehow ended up promising that she can get the super-famous band The Drifting to play at her school fundraiser. Plus she’s helping Mum plan Dad’s surprise birthday party, a party Suzy’s not entirely sure Dad wants as he seems to be showing many signs of a mid-life crisis… AND to make matters worse, both events are happening on the same day! What’s Suzy going to do this time? Hiya! Thanks so much for having me here today. It would be easier to list the embarrassing things that haven’t happened to me, to be honest. I do ridiculous stuff all the time. You just have to read the books to know what a donkey I make of myself constantly. If you had to choose, which of your family members would you pick to be stuck in a lift with? Argh! Do I have to be stuck with any of them? Just the thought of it is giving me the fear. Definitely not Harry - she'd have something revolting hidden about her person and use the confined space to torture me. Amber would be hopeless and would probably hyperventilate. I guess Mum or Dad, but this question is enough to make me want to take the stairs for the rest of my life to avoid the possibility ever happening. Chocolate cake from Bojangles café. With a side order of hot chocolate and marshmallows. You can never have too much chocolate in one meal, in my opinion. What's your favourite type of sweet? Definitely not those horrible jelly babies my BFF Millie is always scarfing. I like Haribo. Or did I mention I like chocolate? Moths. A world shortage of chocolate. And, after your earlier question, being stuck in a lift with a member of my family. Embarrassing myself wherever I go, whatever I say, whatever I do. Sigh. Bojangles café with my boyfriend and best mates. Love it! Plus, my family never go there, so, y'know, bonus. It's got to be The Drifting. I love their stuff. What are your top party planning tips? Get someone else to do it for you! Party planning is soooooo stressful. And don't promise people things that are nearly impossible to pull off. This will send your stress levels through the roof! 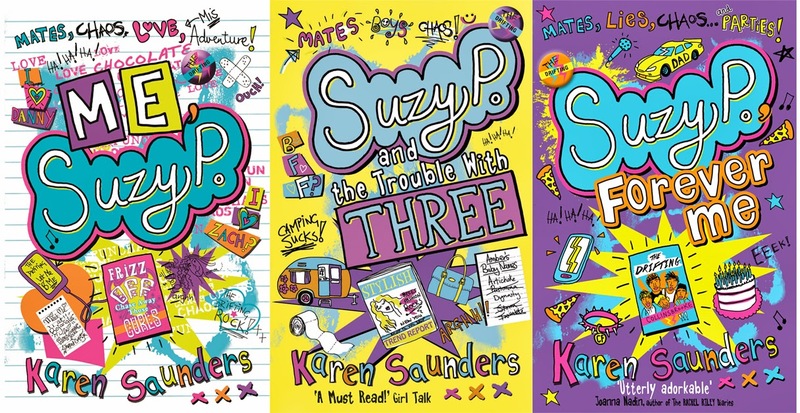 If you'd like to hear more from Suzy P, Suzy P, Forever Me; Suzy P and the Trouble With Three and Me, Suzy P by Karen Saunders are all available to buy online and from all good bookshops. If you need a hand planning your party check out this Spotify playlist handpicked by Suzy herself. If you’d like to find out more about the books or the author, do visit Karen online on her website, 'like' her on Facebook or follow Karen on Twitter @writingkaren. Suzy tweets too, @suzyputtock, so don’t forget to follow her, too! loving the sound of these books Amber, great post!